Weddings are very extravagant, and everyone wishes to get the best out of their budget. Therefore, spending wisely is vital and sufficient preparation is needed before the ultimate plans. For numerous couples, it’s critical to make use of specific New Jersey party bus transportation for their wedding day. The most stunning and thrilling experience will be a chauffeur-driven limousine. It’s prudent to search for limos in New Jersey that have exclusive discounted packages whether for weddings or any other functions you have. Nowadays parties on a bus have been sought out by people of all ages. Whether going for clubbing or parting all night at a great venue, you should consider the party bus experience as part of the festivity. In case you are searching for luxury transportation for your party, below are some hints on spotting that professional bus party provider to make your party more pleasant. Cleanliness: This is one issue that is taken care of by party bus providers in New Jersey. Usually, most vehicles get messed up because of the nature of the bookings. If the party bus provider doesn’t consider cleaning it, then it’s most likely that they don’t care much about maintaining it also. Any dedicated New Jersey bus service provider will usually make sure that they wipe the interior and adequately clean the glassware with the aim of making it shine for the next client. Besides, they also check each part of the coach not to mention taking their vehicles for frequent service. This, in turn, warrants that clients don’t face any difficulties while they travel. Permits: Party bus services require special licenses or rights to be able to operate in a particular area. Party bus New Jersey requires excellent inspections, permits, and drivers who are licensed. For optimum satisfaction, you, therefore, need to check the insurance and license number at both the front and back bumper. Party bus New Jersey is among the most renowned providers who operate vehicles with official permits. Amenities: Due to current headways in technology, many people make their rides sophisticated and incredibly luxurious. Party bus New Jersey is all-inclusive, comprising flat screen televisions as well as fiber optic lighting, refreshment areas plus many more features for that extra amusement as you ride. Riders, as well as lovers, enjoy these amenities since not all have such at their homes. Capacities: Bus party New Jersey offers much consideration to their passenger capacities. Although buses can accommodate a tremendous amount of weight, comfort levels are often lessened when the commuter count goes up. Several buses hold between 10 to 40 passengers. One must, therefore, consider the space and also the comfort levels before picking any bus party provider for a pleasant ride. New Jersey is an exceptional and fascinating area and offers almost anything you crave for. With significant areas of entertainment, celebration, and outings, it’s a densely populated with rich culture as well as traditions. This unique state presents excellent places like mountains, white sandy beaches on the Jersey Shore as well as all types of robust pursuits. ﻿ Action Limousine in Garwood New Jersey has four party buses and one of the largest limo fleets in the state. There can be no better way, therefore, to spend your special day in style. In case your budget is constrained, and you still fancy the services of a limousine, then going for the sedan limousine rather than the stretched one is an ideal alternative. A Lincoln Town Car, A Mercedes or a BMW sedan will give you maximum comfort and gratification. However, in case you prefer to ride with a group of friends to the place of event and back, then you can opt for a limousine van such as Ford E-350 which provides a convenient and a luxurious capacity of a maximum of 14 people. You can besides pick a limousine party bus in case you are a gathering of 20 to 48 people. 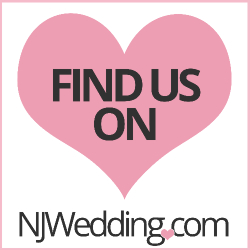 Companies in New Jersey offer exceptional wedding packages. Hiring a wedding limousine adorned with bright flowers, petals and decorations bring life to the venue to take away bridge for a lifetime in that unique car. Depending on your needs, a chauffeured wedding limousine can be a sedan limo, a sports utility vehicle or a stretched limo. Once the tiring journey is over, the chauffeur then whisks the bride and the groom privately to the destination of the honeymoon. A wedding in a limo creates everlasting memories and makes you start another chapter of life in the most elegant way. If you prefer characteristics and would love to have an outside experience in New Jersey, the Limousine is one best option. There is no sounder alternative to do that than to book a limo for your outdoor adventure in party bus New Jersey. The staff of party bus New Jersey has seen it all, seeing dignitaries, superstars, and political figures. On the momentous ceremony, that people get the opportunity of being shoved into a limo. In party bus New Jersey, your limo will transport friends to their respective accommodations and make the journey as magnificent as possible. Not to mention the extension of TV sets, DVD players, and a favorite bar that friends can enjoy as they sit returning covered in the attractive setting of an expanded limo. Who would not like the VIP feeling as a chauffeur draws up to the gateway and unlocks the entrance for all commuters? Well, the owner of party bus New Jersey, John Garrabrant makes sure that they have a superior record of customer satisfaction. Different people encounter the remarkable high-class experience of a limo on their wedding as they are pushed to the chapel for the wedding and grabbed after the wedding to be ferried to the party lounge. Driving during the returning of a limo is an unmatched encounter that makes special occasions even more memorable. If you yearn to party and mark your special night in a unique way, then consider the services of party bus New Jersey. They will furnish you and your loved ones with the large vehicle and drop off services. This way you will not have to fret about traffic or parking, all you have to do is recline and relish the ride in style and elegance.